When talking about amazing smartwatch, Xiaomi Amazfit Startos is an assembly of really good looking smartwatches that are also feature rich in every sense. The Huawei Amazfit Stratos Pace 2 is a really great smartwatch that works very cool fitting right into the assembly of affordable smartwatches for your daily lives be it running, work, or health reasons. 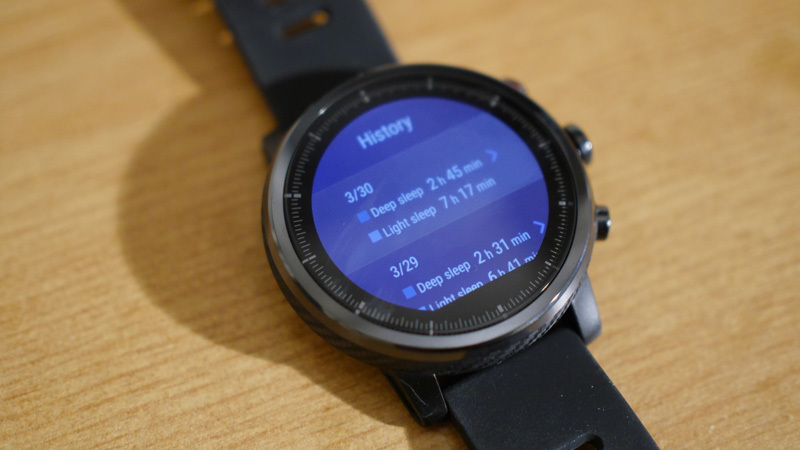 When the first Amazfit Pace 1 was released back in 2016, it was great for almost all of us back then and we loved the fact that we had finally gotten the best smartwatch of all times. While Xiaomi had claimed it would be entering into nearly all the gadgetry sectora within the tech and electronics industry, the Amazfit is a quality result as I can’t label Xiaomi a Jack of all Trade, Master at nothing. Don’t forget how awesome their smartphones are and also their ultrabook computers which are all competing against established brands like Samsung, Apple, LG and so much more. As the Chinese company is well known for it’s brilliant developments, well, here is another non disappointing piece of tech, the Amazfit Huami Pace 2 which is the successor to the Amazfit Pace 1. What this device does apart from looking at time is that it also help you get locations as it has it’s own navigational system with which you can locate where you are right within the map, you can synchronise it with you Android or iOS smartphone so you get the typical smartwatch functionality such as text and call alerts, and anti-lost device finder. HOW GREAT IS THE XIAOMI HUAMI AMAZFIT PACE 2? These means that the Xiaomi Amazfit Pace 2 is a really powerful device that can be a real great partner if well used to it’s maximum. One of the reasons I suddenly fell in love with the device is how much great it felt when I used it. While the device isn’t a touchscreen, you are presented with some buttons for controlling it’s functionality and that might be a big turn off for me. For example, when i tried the Kingwear K98 on, it felt great too and it was in fact a multitouch enabled smartwatch unlike the Amazfit Stratos Pace 2 which isn’t. But the display is really a top tier. Since it uses OLED display, it’s view angles are all great and hat would be a great advantage to those that uses the watch on the outside. And for $169, you’re getting a really great device that works fantastic complimenting your lifestyle. I just so much love the Amazfit Stratos Pace 2 as we bounded together almost immediately when I opened it’s case packaging. The battery works on the normal range as a smartwatch would work and that leads me to the next which is the Heartbeat monitor and footstep counter. The accuracy is sort of near but cannot be entirely trustworthy and since I lost counts trying to argue against the accuracy of the smartwatch, I decided to give it the job to do rather than using my own energy. Xiaomi is really becoming huge and so they’re taking upon themselves big competitors and that is provable due to the quality of the product they produce and the Amazfit Stratos Pace 2 is an ideal example of such. Whether to buy the Amazfit is your choice considering the endless options out there ranging from the very expensive smartwatches down to the not so expensive ones like this. But consdering facts like the design and the features, it might be a very great option for those that seek a balance between the two. If you know you like a larger watch and you’re not looking for a touch screen but preferred to have a smartwach with heart rate, sleep and activity tracking, then the Amazfit Stratos Pace 2 is probably the best option available right now, and it’s pretty good value for money too.